On August 26, 2012, Penticton, B.C. 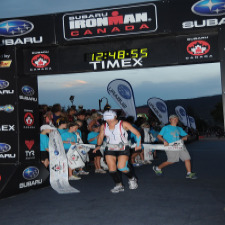 was the site of the Subaru Iron Man Canada. Vancouver chiropractor, Dr. Trevor Kilian, and his wife, Lauren not only participated in the grueling event, but also successfully completed it. The race is a test of physical skill and mental determination. It consists of three races with zero breaks in between. Participants must first swim 2.4 miles before immediately riding 112 miles on a bicycle. Upon completion of the bike race, contestants must run a 26.2 mile marathon. Race participants are given only 17 hours to complete the entire course, and if they cross the finish line, they will have traveled 140.6 miles. At Kilian Chiropractic, Dr. Kilian believes that wellness and chiropractic care are important to healthy living. Rather than simply tell patients to live healthier, he heeds his own advice by pursuing fitness and wellness in his own life. 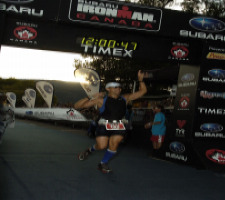 His recent Iron Man accomplishment is a testament to his belief in taking care of the body you have to prevent future health problems. At our office, we are committed to helping our patients become the healthiest versions of themselves they can be. Many of our patients visit with back pain, neck pain and other symptoms. We customize a treatment plan consisting of chiropractic care and back exercises to help reduce symptoms and promote healthy living. With time, back pain diminishes and the back exercises can strengthen the spine, making it more resistant to future injuries. Our goal is to help our patients reach their own health and fitness goals by modeling it in our own lives. Dr. Kilian can not only provide chiropractic care, but he is also willing to provide lifestyle advice. You will learn how to sleep better, eat better, exercise better and take care of your body to the extent of your ability. Call us today to start on your path to health and wellness. Have you recently participated in a race or athletic event?